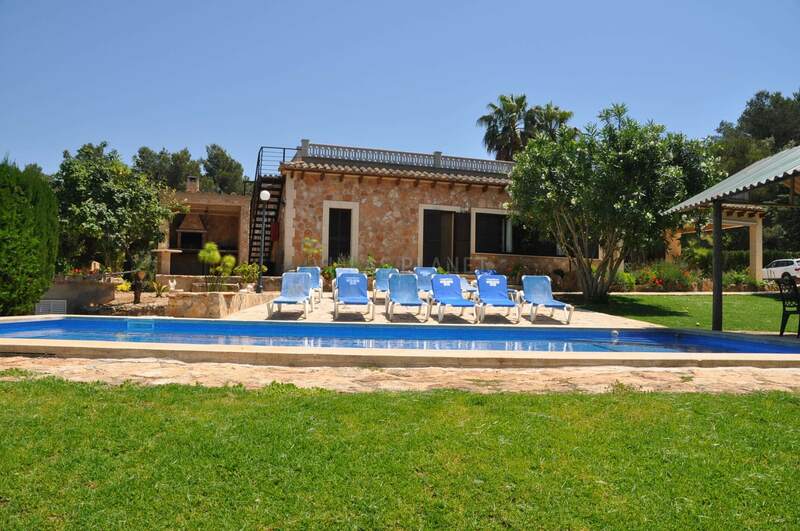 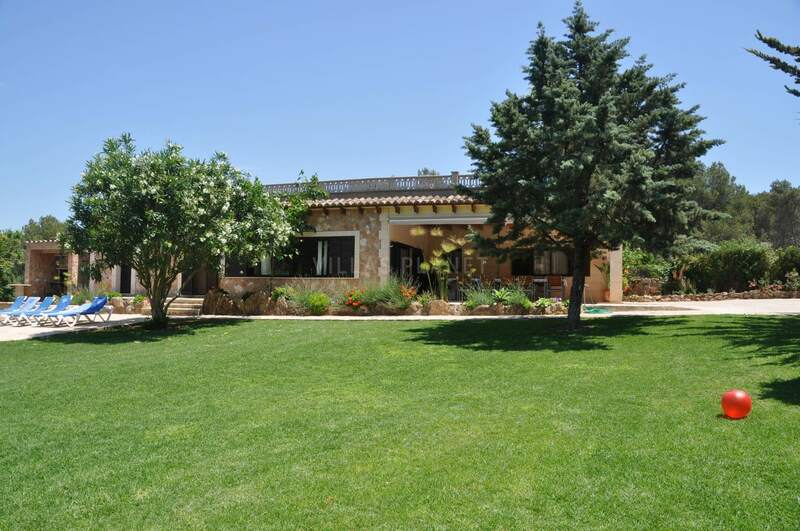 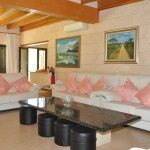 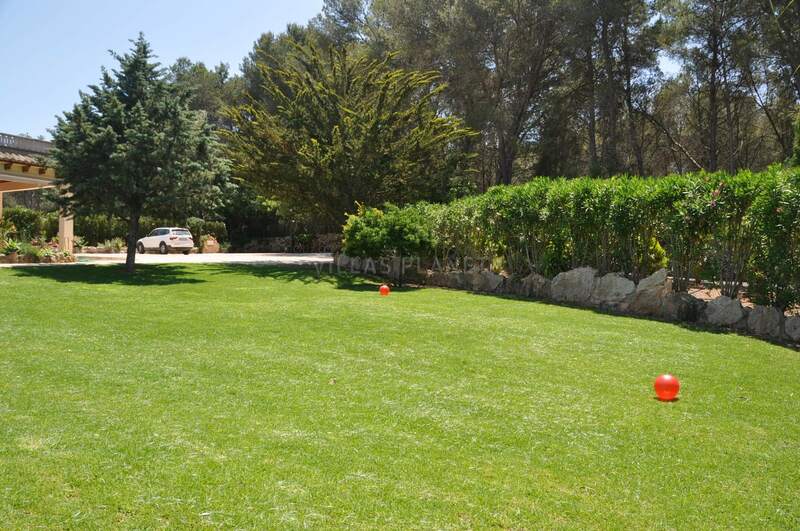 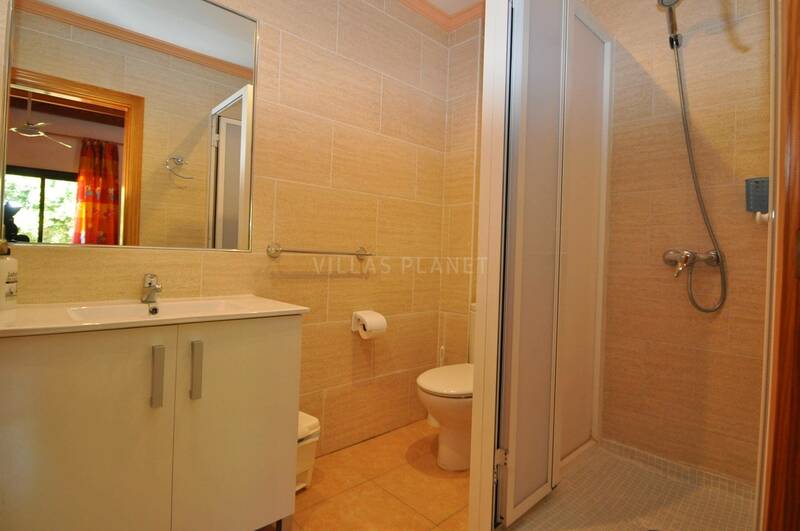 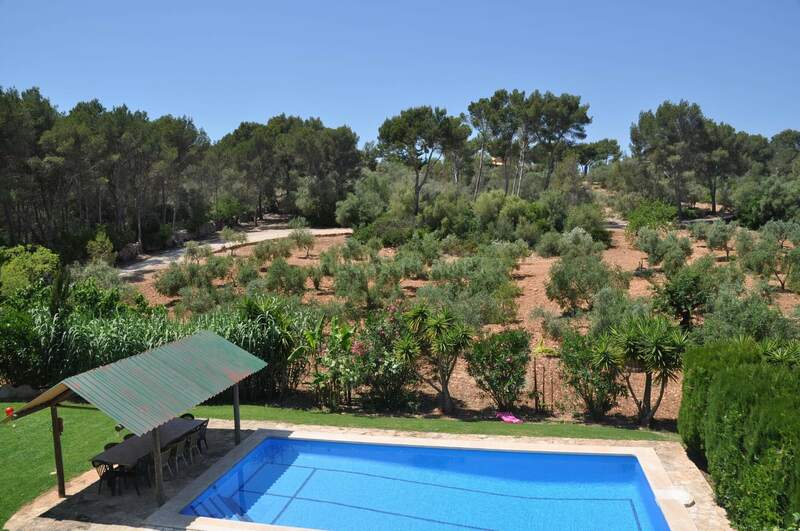 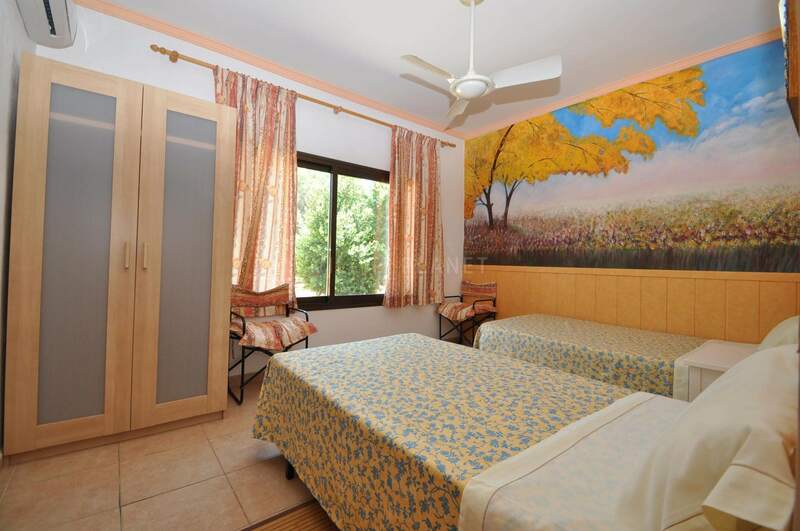 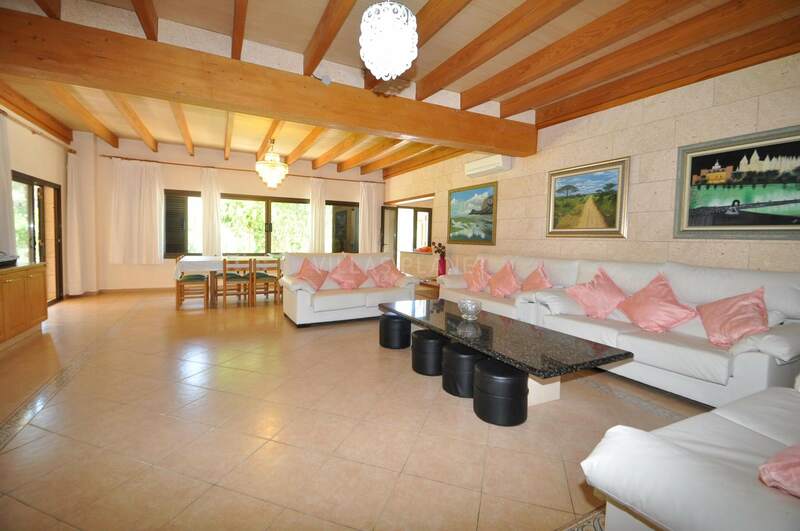 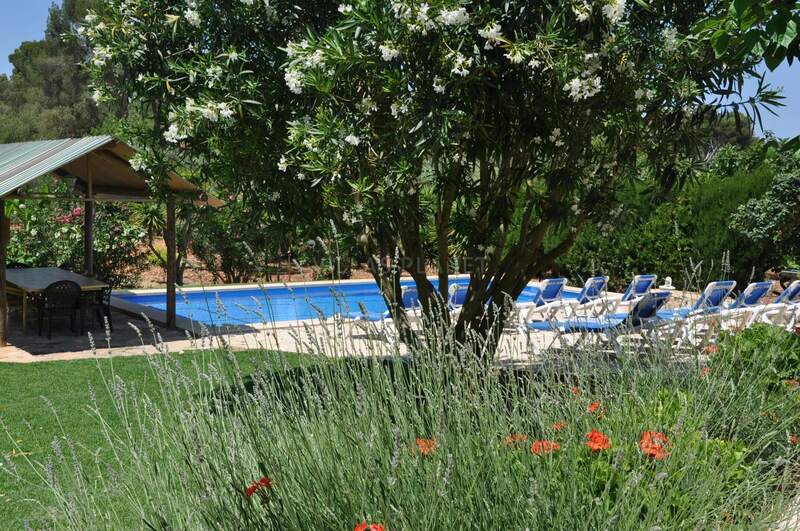 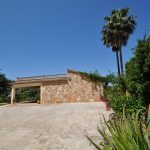 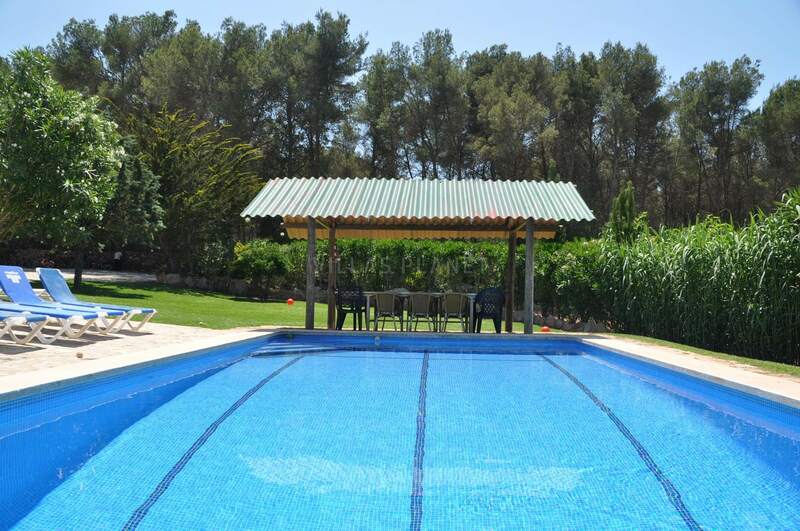 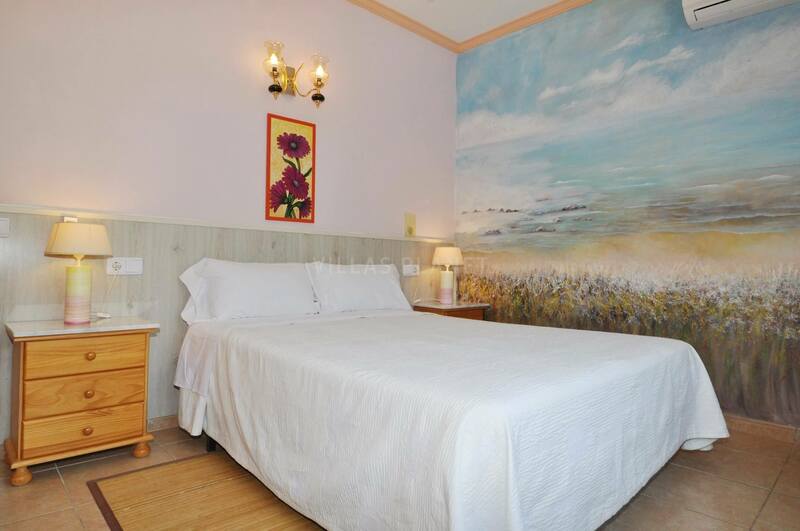 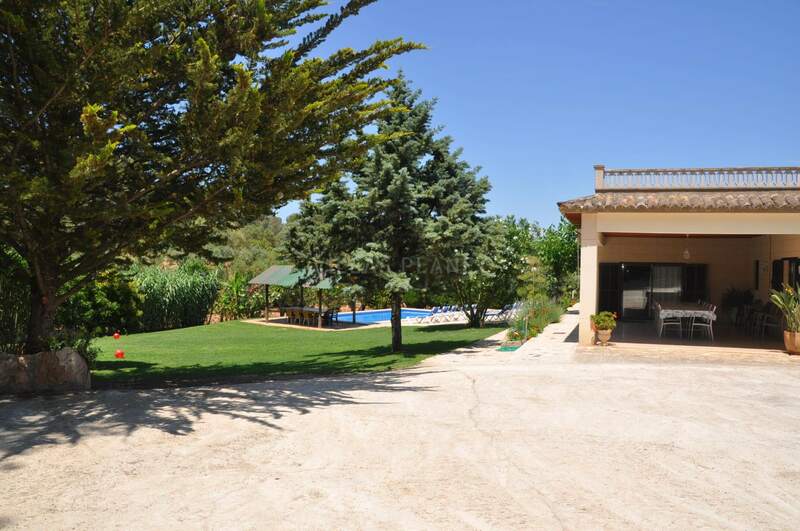 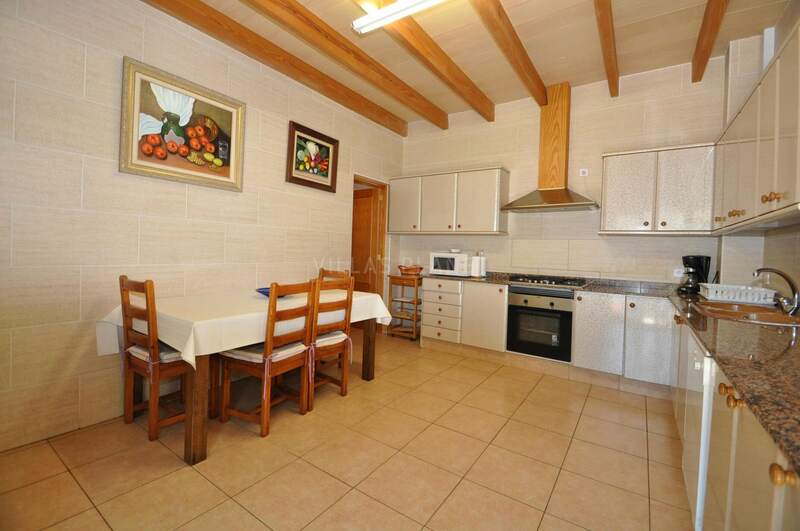 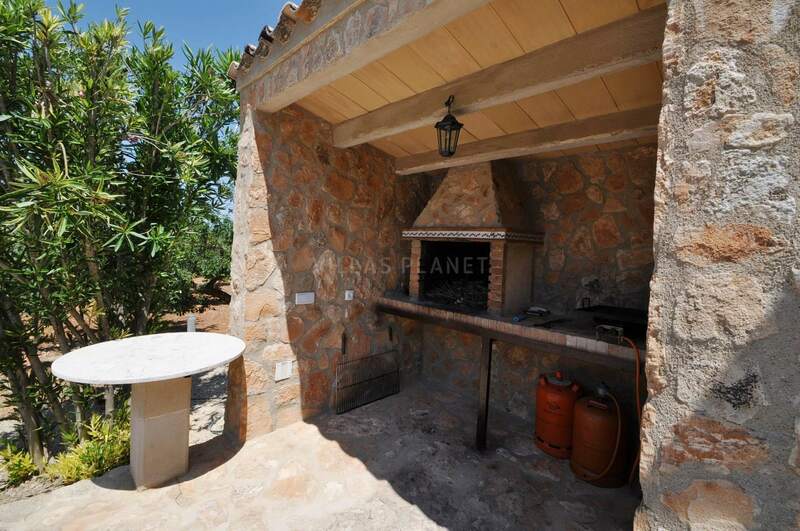 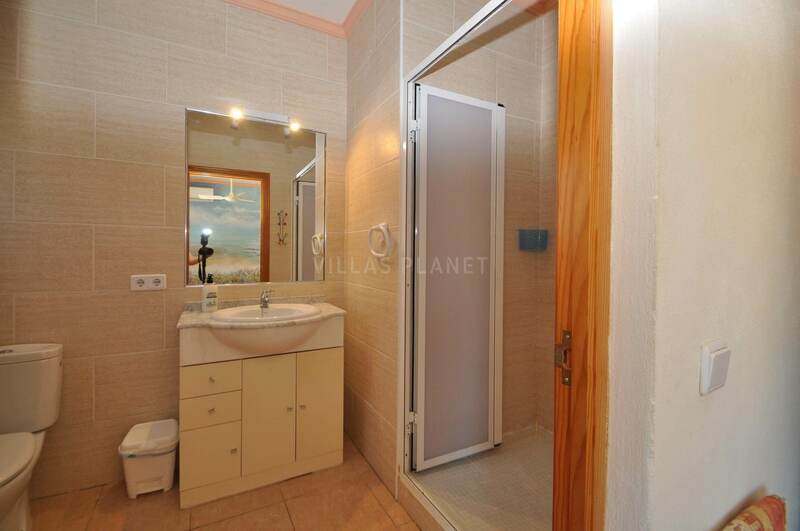 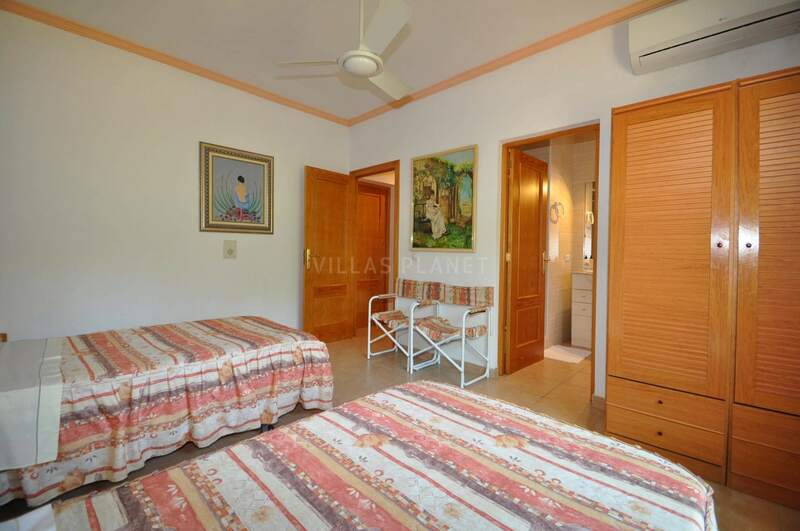 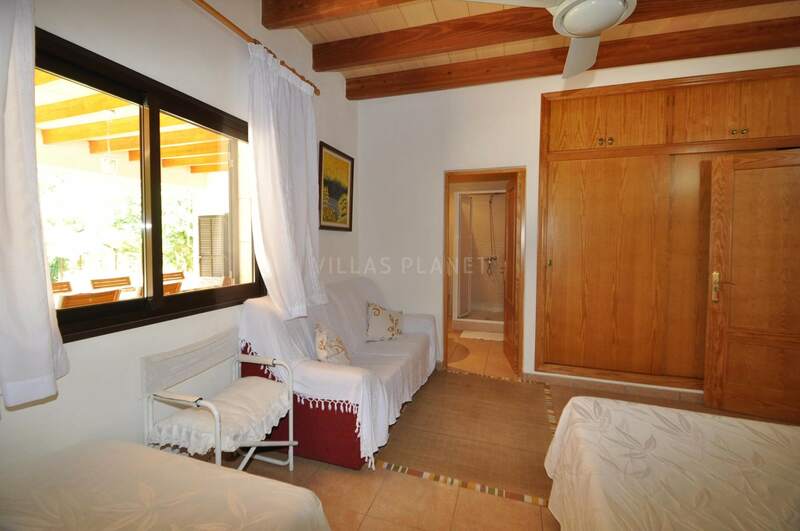 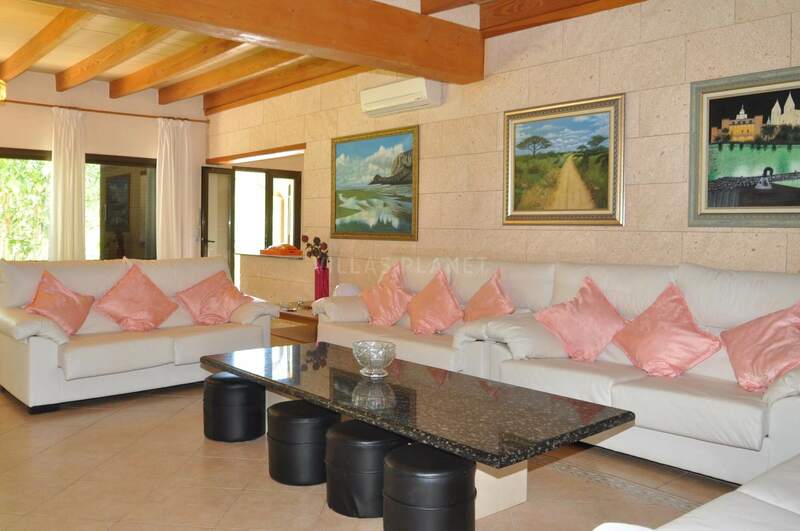 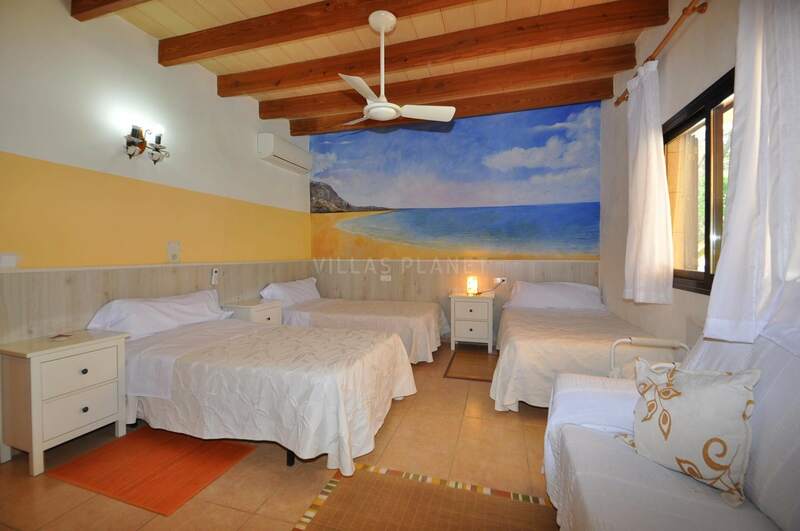 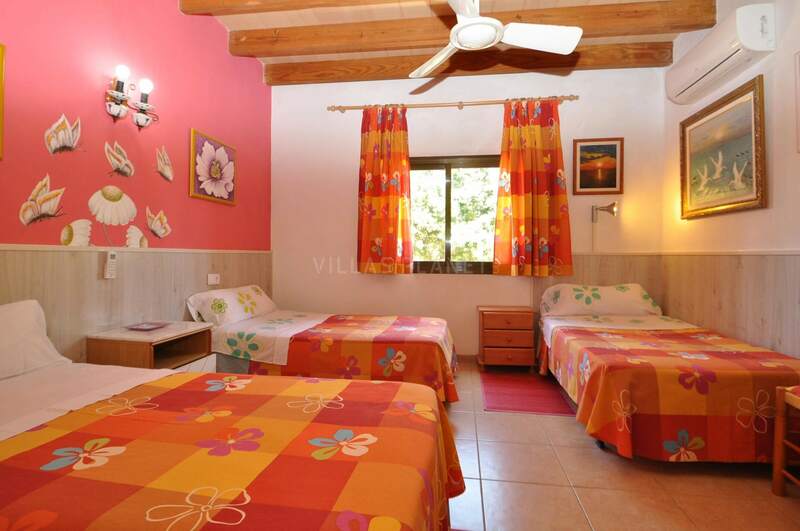 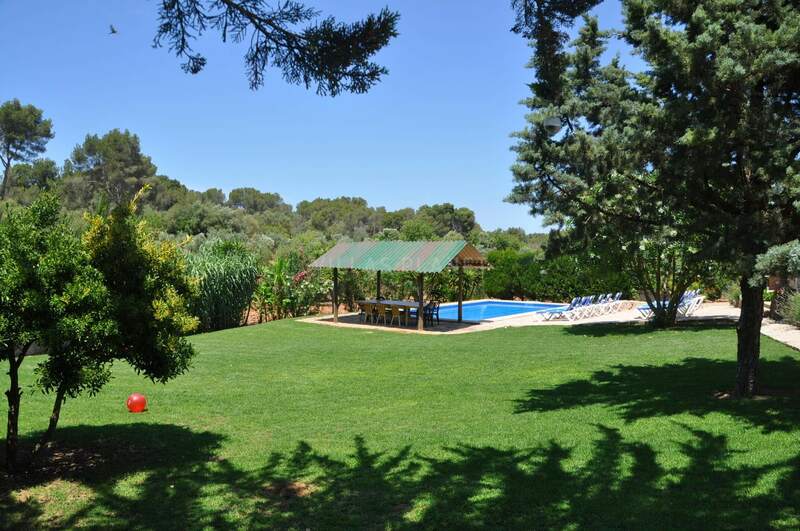 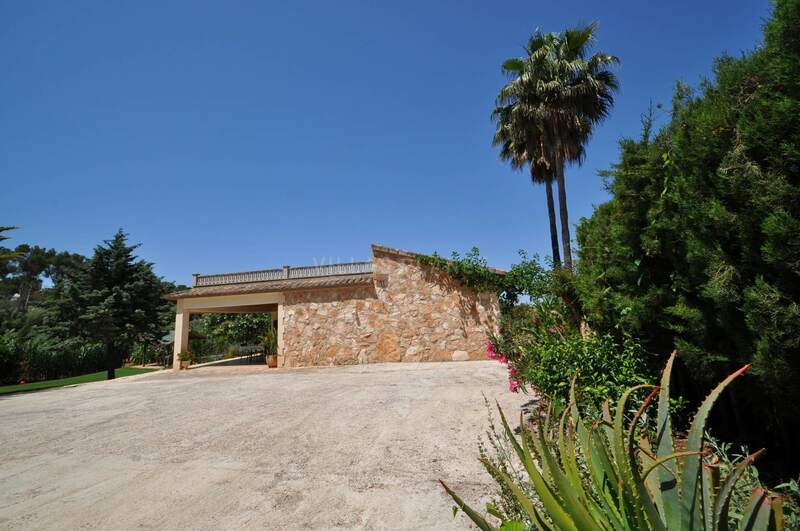 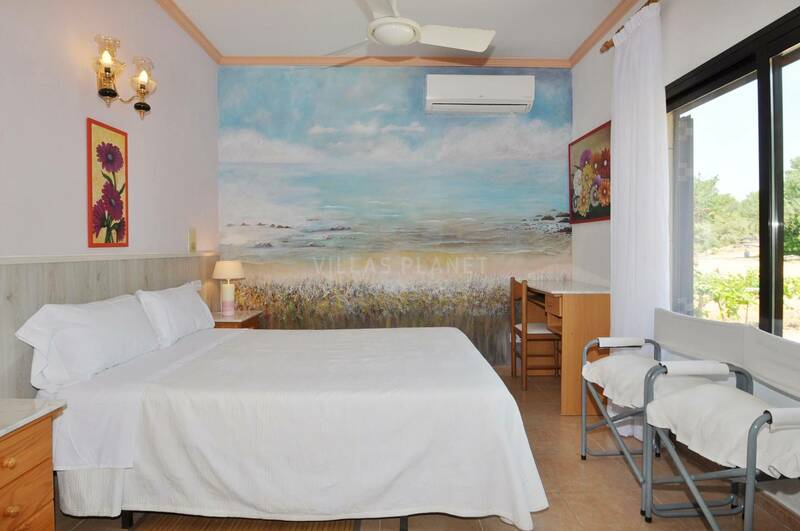 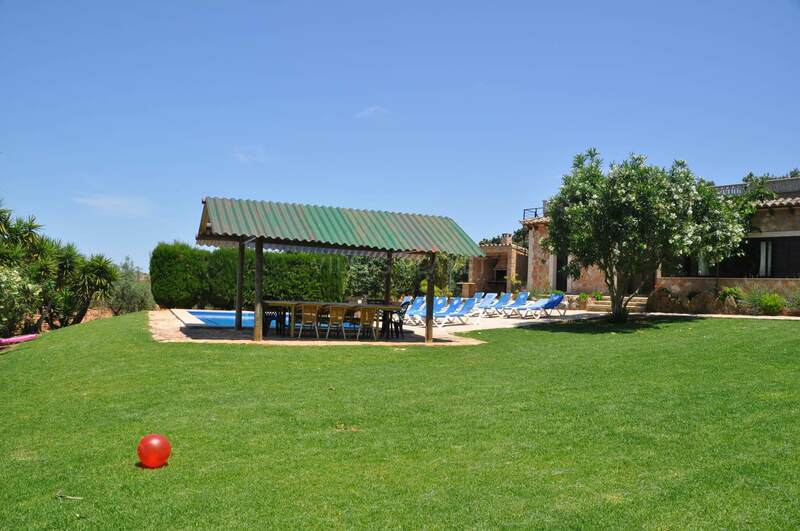 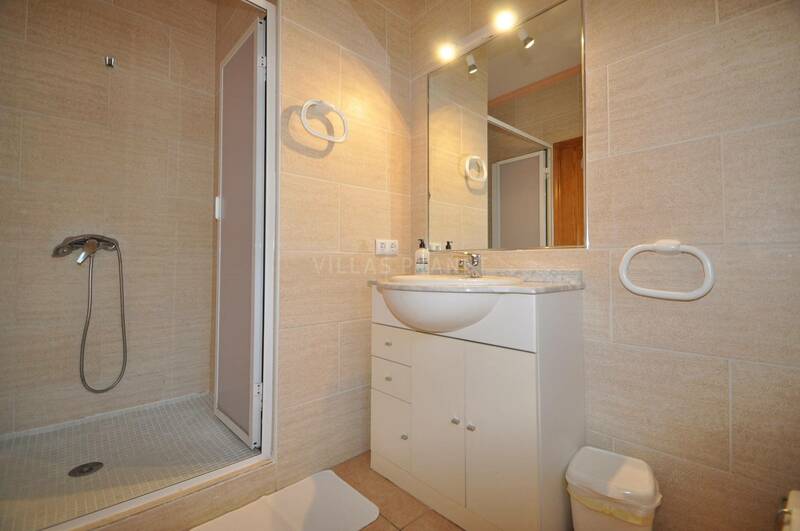 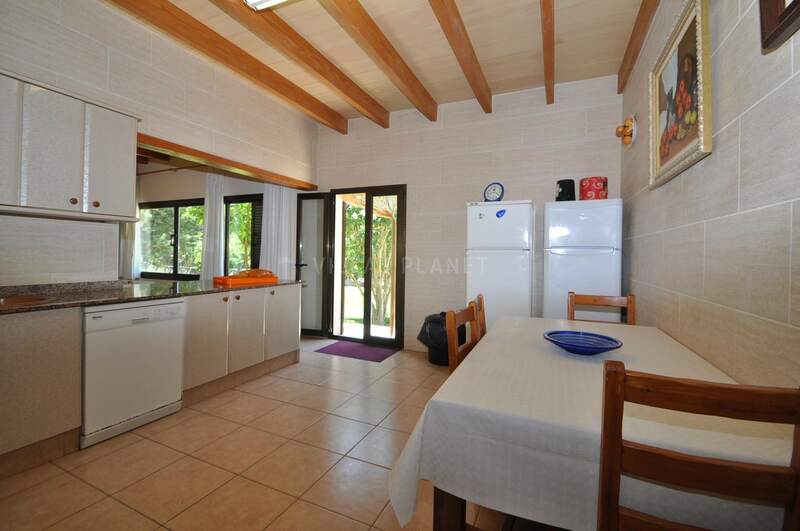 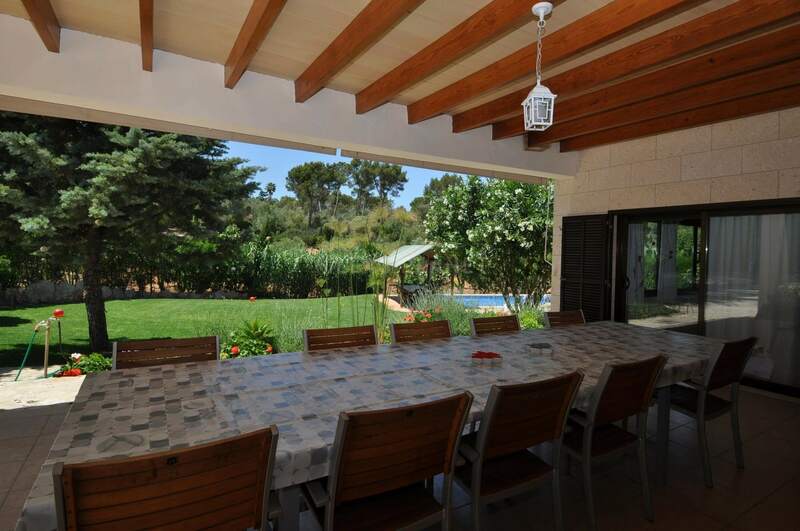 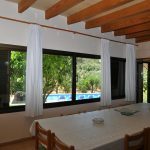 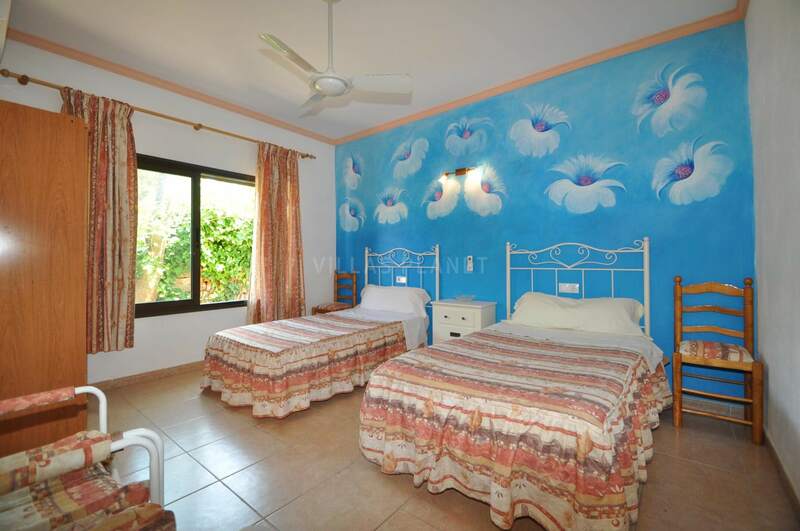 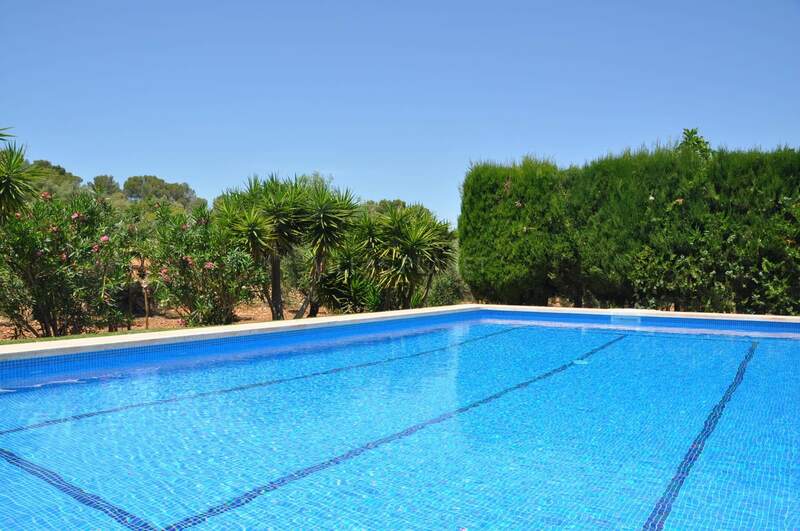 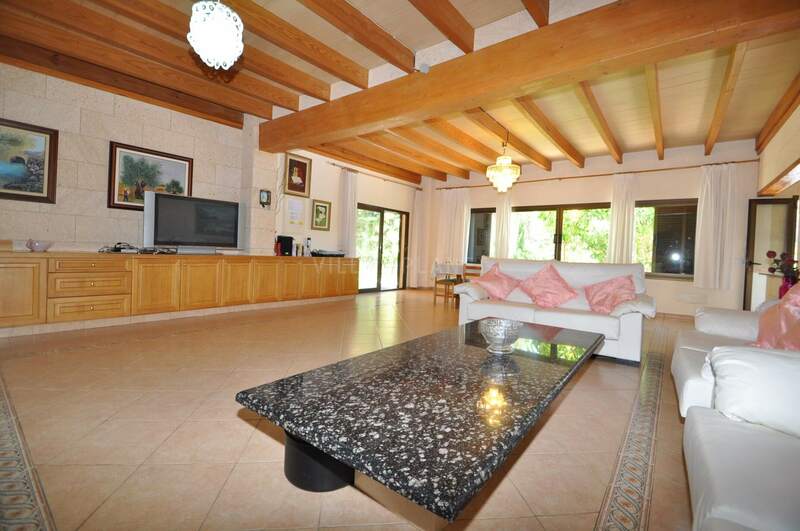 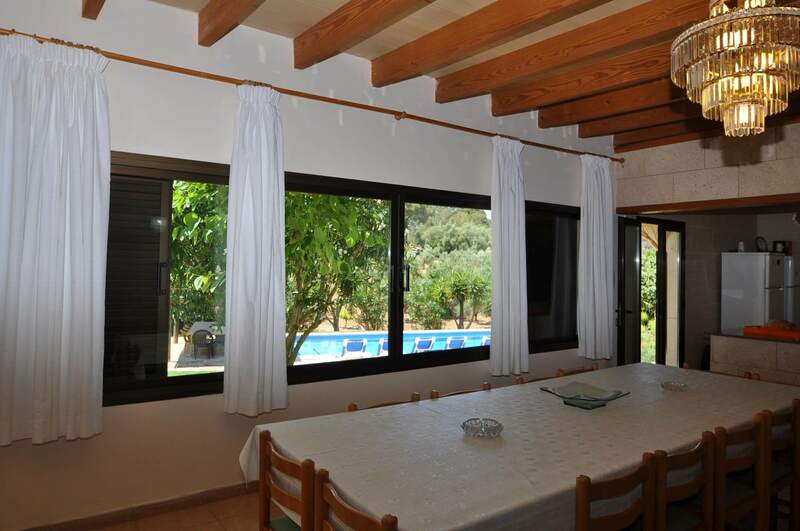 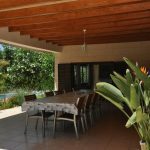 Holiday country house for rent in Las Palmeras, Cala Blava, Majorca. 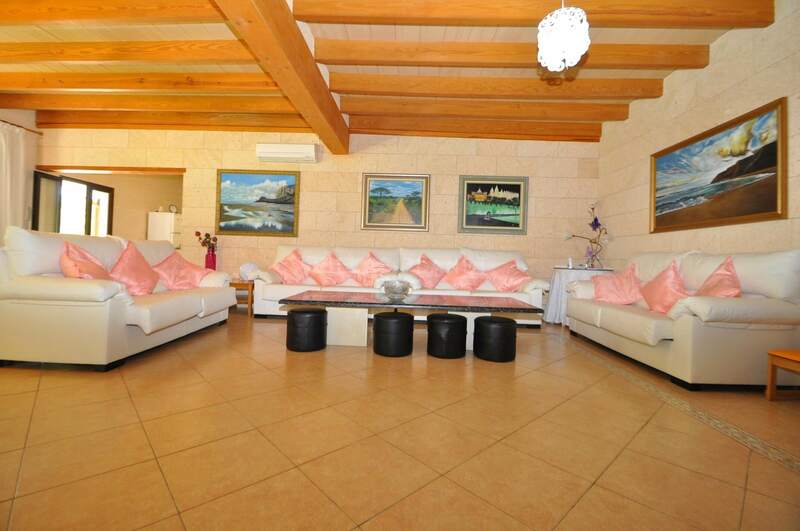 This house is built on one level, the house boasts a spacious lounge dining area, 5 bedrooms all in suite, 5 bathrooms, a complete fitted kitchen. 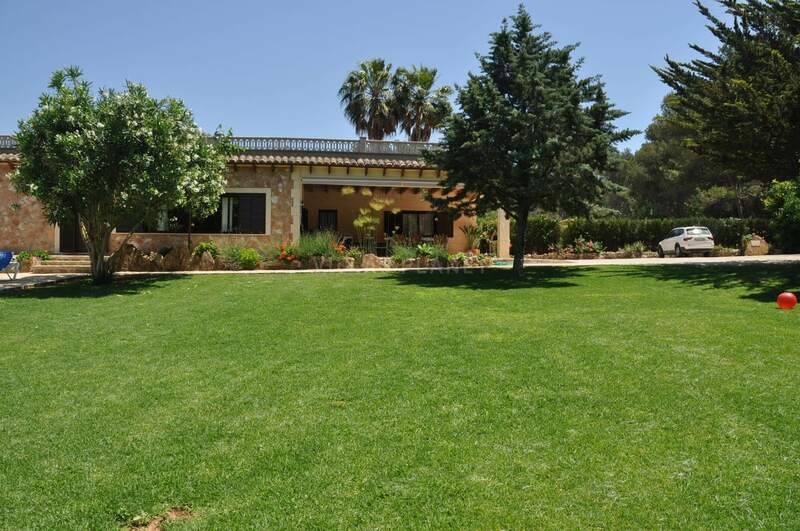 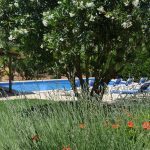 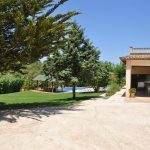 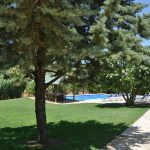 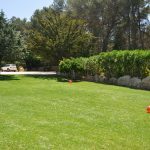 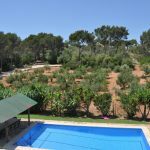 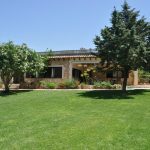 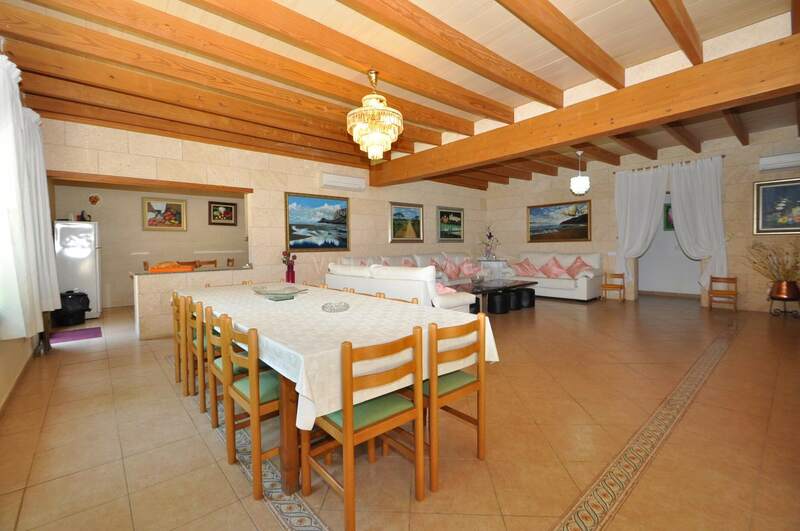 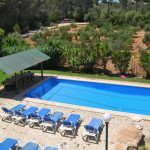 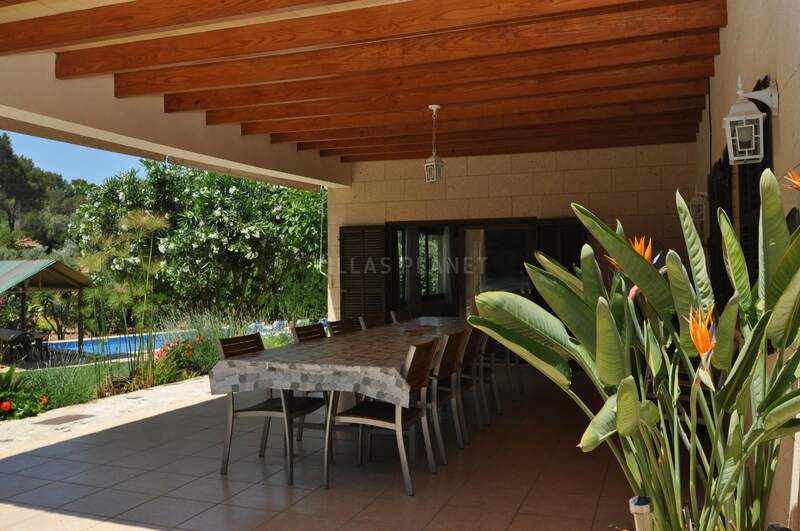 Spectacular garden which is very well cared off with swimming pool and surrounded by grass and fruit trees. 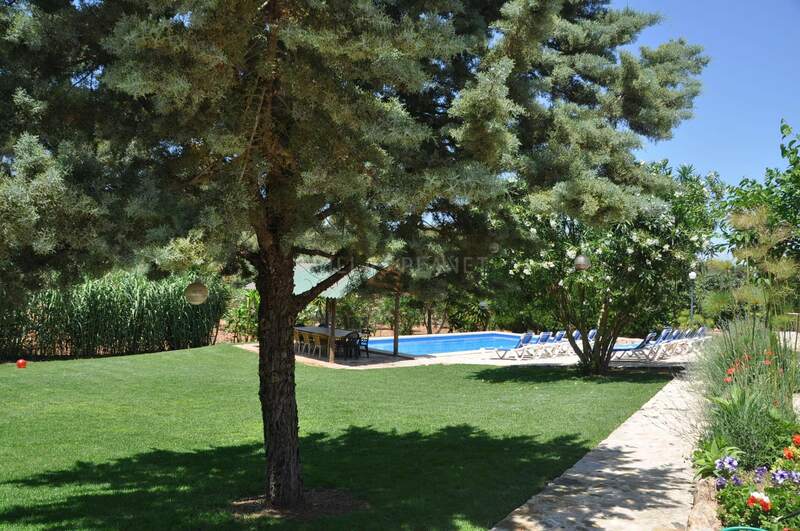 The house is surrounded by nature and has absolute privacy. 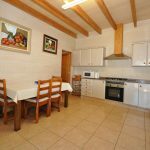 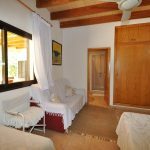 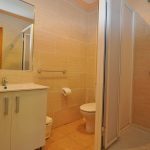 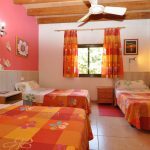 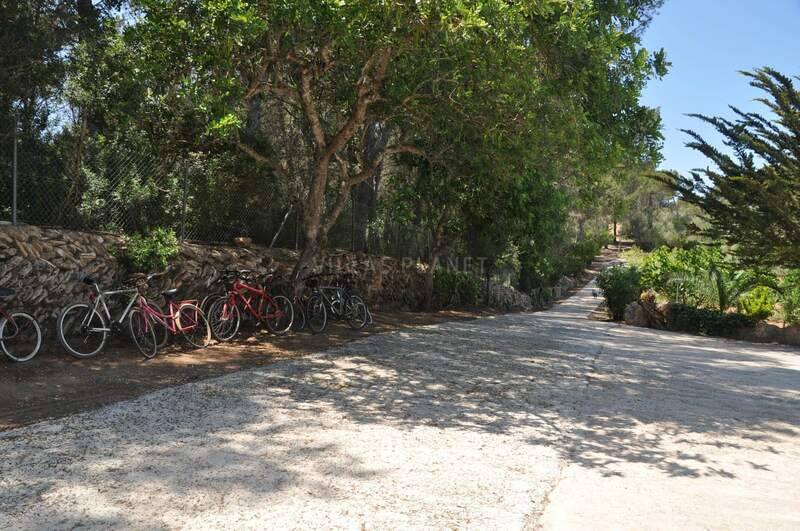 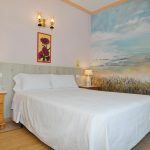 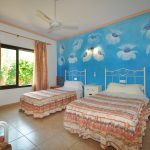 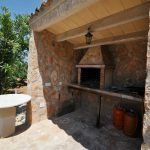 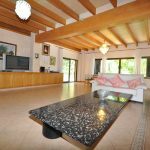 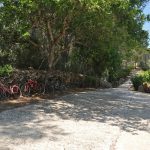 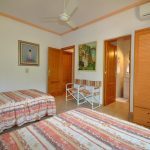 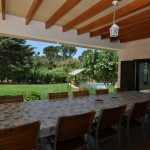 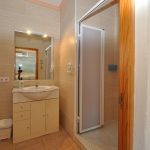 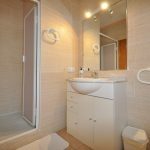 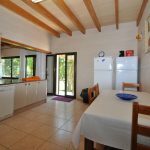 Located near to the stunning beaches of Cala Pi, Cala Blava and Cap Blanc, and only 20 minutes away from the famous Caribbean like beach of Es Trenc.